At the Festival Musiche d'inCanto for new and never performed Choral Music, it will presented the Missa Semplice “Giovanni Paolo II”, written by Gabriele, for Mixed Choir, Oboe, Cello and Organ. The Mass will be performed again in all Mitteleuropa. Gabriele will conduct the Mitteleuropa Fvg Orchestra at the Festival Canzone Friulana 2017 at Teatro Giovanni da Udine; protagonist the song “Une Lus”, written with Sandro Gallina and arranged and orchestrated by Gabriele, and that Sandro will perform in a contest with an audience of 1200 people. Gabriele will attend the Masterclass Hollywood Music Workshop with Conrade Pope, one of the Top Orchestrators in Hollywood, important collaborator of John Williams, Desplat, Isham and several others composers; for the arranging of pop music, involved the Grammy Award Nan Schwartz. On Music written by Gabriele, the Dance&Dream Trio is 6° Prize at National Contest of Artistic Dance Fids; great performance of the girls on the beautiful song Sunset in Paris. In the prestigious square of the Castle in Udine, Memorial Robert Miles, where Gabriele performs as director/arranger the most popular songs created by the artist for Pop Orchestra. Great Success for an event that will be presented in other situations. On Music written by Gabriele, the Dance&Dream Trio is 1° Prize at Regional Contest (FVG) of Artistic Dance Fids; great performance of the girls on the beautiful song Sunset in Paris. November 13: Gabriele as Chorist in Coro Filarmonico Città di Udine is finalist at Concorso di Composizione e Arrangiamento Agc Verona; great success after that as Chorist and Composer at Rassegna Internazionale Virgo Lauretana 2014, with Great Honours to Coro Portelli, and when his “Ave Regina Caelorum” has opened the Concert Gala with Tv Broadcasting Worldwide by Maria Vision TV. October 22: in Coseano, (29 in Mariano del Friuli), Choral Festival with several premiers; written by Gabriele will be performed “La Madre”, lyrics by Ungaretti, for Treble Choir and Piano, “Salve Regina” for Mixed Choir, and “Ave Maria” from Schubert, for Soprano and mixed Choir. Showman Claudio Moretti. October 11: Gabriele is awarded at international contest Song of The Year Contest 2016 with the song Bextasy, written with Roberto Fabbro and sung by Sofia Borgo. Show "Fagagna fra le Stelle"
February 9/11 2016: the singer Sandro Gallina, author of several songs written with Gabriele, is protagonist at Sanremo Music Awards, the most important show after the performances at Premio Friuli, Cantagiro, Tour Music Fest, EXPO, Vinile d'Argento and Sanremo; for the 2 friends the beginning of big success. January 1, 2016: on digital download new albums online: “Arabian Dream”, a chill-out album, and “Shadow in the Light”, with music for choir and orchestra. December 6: Gabriele with the artists Alvio&Elena wins at Festival “In Arte...Buri” with the best original song awarded by chidren. October 23: Gabriele with his team is finalist at USA Songwriting Competition 2015, an international contest and one of the most important worldwide for commercial songs. July 20-27: in Aosta the national choral federation Feniarco organize an International Masterclass with M° V.Miskinis; Gabriele is one of the 9 composers selected. August 8: 3° Prize at National Composition Competition "Renato della Torre" with the piece "Lei Fu Amore" with the lyrics of the young poet from Trieste A.Lutman; the commission has appreciated the melodies and the texture of this love song for Choir and Piano, that will be performed and published. June 1; on digital download a new album: “S.C.I.N.”, with hip-hop DjMix sounds, ispired by US urban background, and the single “ExsensE”, with sensual sounds. May 17; the choral piece “Ave, Regina Caelorum”, has been selected for the inauguration of the prestigious exhibition in Illegio (UD) “L’ultima creatura. L’idea divina del femminile”. Testimonials of the event the theatral director Beppe Menegatti and the dancer Carla Fracci. March 25; with the artist name Gabe Saro, new compilations on digital stores worldwide with commercial music and trailers; 5 the albums: “50 Power Workout Trax for the Ultimate High Energy Training”; “Apocalypse: Epic Cinematic Trailer Music”; “Bombay Beats: Mumbay Grooves”; “Desert Nights: Chilled Arabian Beats”; “Dubstep Madness: Sick Bass & Electro Beats”. January 12, 2015 : on digital download the new electronic album “The Calling”, with modern sounds, ethnical voices and piano; this is the album that involved Gabriele’s music on Omnicom Group NYC. December 18: Gabriele Saro and his violin in the prestigious calendar of the photographer Renzo Schiratti, known and distribuited also abroad. November 29: the song “Per Non Dimenticare” in Japan for broadcasting on 6 different FM radios; also written and performed a new version of the song for wind orchestra and Sandro Gallina, the singer and author of the song. November 4: online the new video Experiencing Sound with Love Poetry, with the collaboration of the poet Steven Saro; “The Love Poem” collection from Amsterdam with the music of Gabriele Saro; this is a new video, remembering the 4 created with the famous photographer Diego Cinello, the last one with Motion Panoramics. October 25: during the sacred music festival “Musiche d’inCanto” - Coseano (UD) - several choirs perform music of Gabriele Saro in première: Ave Regina Caelorum, Alleluia and Agnus Dei by Corale Portelli - Mariano del Friuli; Missa “Angelorum Cantus” by i Pueri Cantores “In Dulci Jubilo” - Fagagna; “Se fos Normal” by Coro H2Vox - Fontanafredda - and Corale Zacchino - Trieste -. On You Tube posted the videos of the Festival. 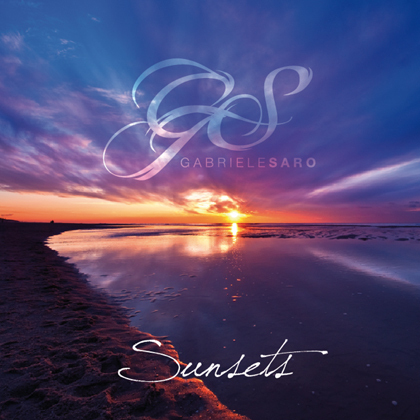 October 7: on digital stores worldwide the new orchestral album “Glimpses: Orchestral Light Music”, with symphonic music for orchestra and wind orchestra, ispired by Hollywood soundtracks and with the symphonic work “Views of Fagagna”, dedicated to the native land of Gabriele. September 1: the song “Per non Dimenticare” is the official soundtrack of the exhibition dedicated to the Vajont disaster and inaugurated in Venzone (UD). 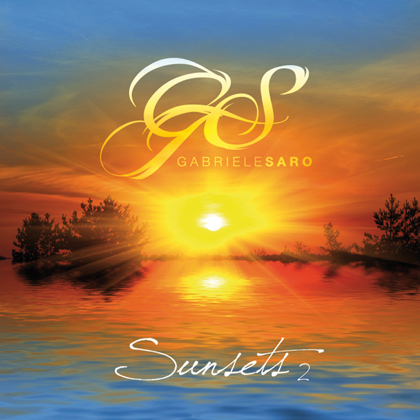 September 1 : the physical CDs of the albums Sunsets, Sunsets 2 and Passion now available worldwide on AMAZON store. August 2: Gabriele Saro and Sandro Gallina on a radio show: on “Avventure Soniche” - RadioSpazio 103 - Gabriele and Sandro talk about last successes and new projects. Interview by Ugo Falcone. July 13 : at Barcis (PN) the première of “Se Fos Normal” in memory of Federico Tavan, poet and author of the lyrics in the piece of Gabriele Saro. Coro H2Vox - Fontanafredda - and Corale Zacchino - Trieste - the performers. June 27: online the 3 videos “Experiencing Sound with Wonderful Panoramics” dedicated to Friuli Venezia Giulia, Italy and Europe, and in collaboration with the great photographer Diego Cinello. April 27: the choral piece “Ave, Regina Caelorum” is the opening music at international sacred music festival “Virgo Lauretana” - Loreto -, with TV broadcasting worldwide by Maria Visiòn Channel:; the performer is Corale Portelli - Mariano del Friuli. March 28 : Gabriele Saro and Sandro Gallina on a radio show: on “La Voce del Friuli” - Radio SorRriso - Gabriele and Sandro talk about last successes and new projects. Interview by Alvio e Elena. March 19: congratulations and satisfaction expressed by TSM Edizioni for the soundtrack of the archeological documentaries about Etruschi made by Gabriele Saro. January 14: USCI FVG complete the distribution of the books with also music of Gabriele Saro, to more than 300 Choirs associated. December 21: Christmas Concert in Madrisio (UD) with also music arranged by Gabriele Saro for Choir, Wind Orchestra and Organ. "Dream in Music, Dream with Music"
October 23rd in Fiuggi, take place the semifinals of Cantagiro with the song “Not to Forget”, dedicated to the Vajont and written with the author and singer Sandro Gallina; final will be held on Saturday, October 26th. October 26th in Coseley (UD); InCanto music festival, there will be introduced and published new songs for choir, written by composers from Friuli; Coseano New Choir will present, for chorus and orchestra, choir and organ version, 3 arrangements of Gabriele Saro 3 composition by “Maestro” L. Garzoni; the Choir "Portelli" in Mariano del Friuli will present as very first performance, Gabriele’s "Ave, Regina Caelorum", motet for 8 voices, an international significance track, it appears in the concert planning of several choirs in Europe, America and Asia.